“Randy Dandy Oh” is a wonderful old sea chantey that I just heard for the first time while walking on Fisherman’s Wharf in San Francisco. For some reason this song has eluded me all these years. Camilla and I heard it coming from a shop on the Embarcadero. When we asked the storekeeper for a copy of the CD and he said it was sold out. Thanks to the Internet I was able to track down “Randy Dandy Oh” and learn it. 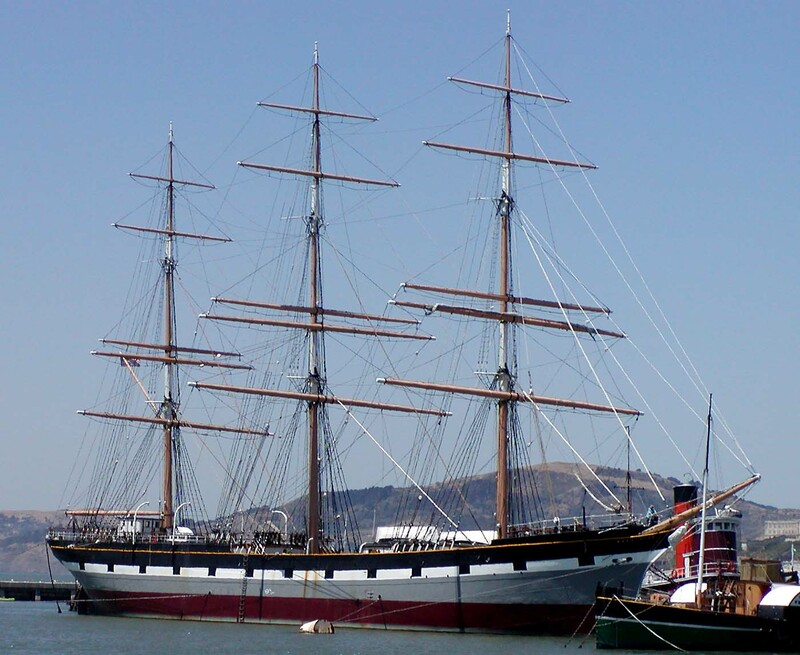 There is sea chantey singing on the Balclutha (pictured above) off the Hyde Street pier the first Saturday of each month so I thought this would be an appropriate song for this month’s Folk Den since we spent nearly three weeks here in San Francisco. I recorded a new version when I got back home, with banjo and one voice doing verses which is more traditional for a capstan chantey. The original recording is here. Way [F] Hey [Gm] Roll and go! [Gm]To me rollicking [F]randy [Gm] dandy, oh! Way Hey Roll and go! To me rollicking randy dandy, oh! Soon we’ll be rolling her ‘way down the bay. Where the pretty young girls all come down in flocks. For we are the bullies that can kick her through. Let’s get the rags up and drive ‘er to sea. Get crackin’ m’lads, it’s a mighty long way.